Hello everyone! We’re KOKOROMI, a videogames/art collective originally formed in Montreal in 2006. We’re excited to be here today on PlayStation.Blog to announce our new VR game at E3 2015. 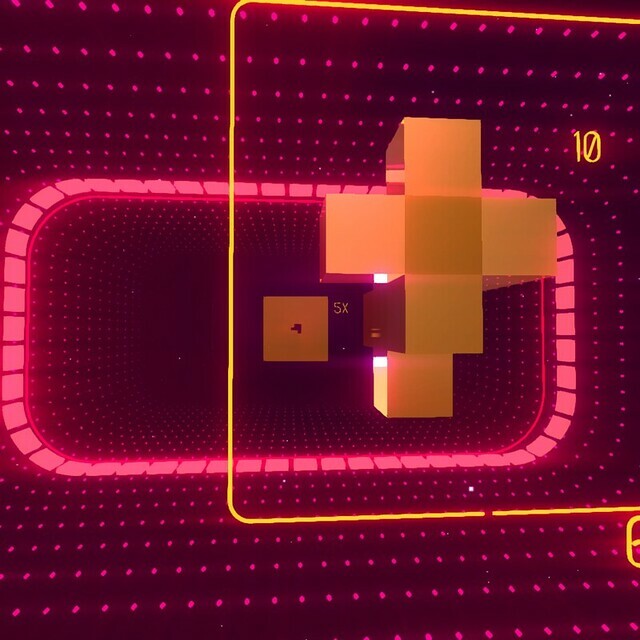 Introducing SUPERHYPERCUBE — a first-person puzzler developed by KOKOROMI and published by POLYTRON, coming exclusively to Project Morpheus at launch! 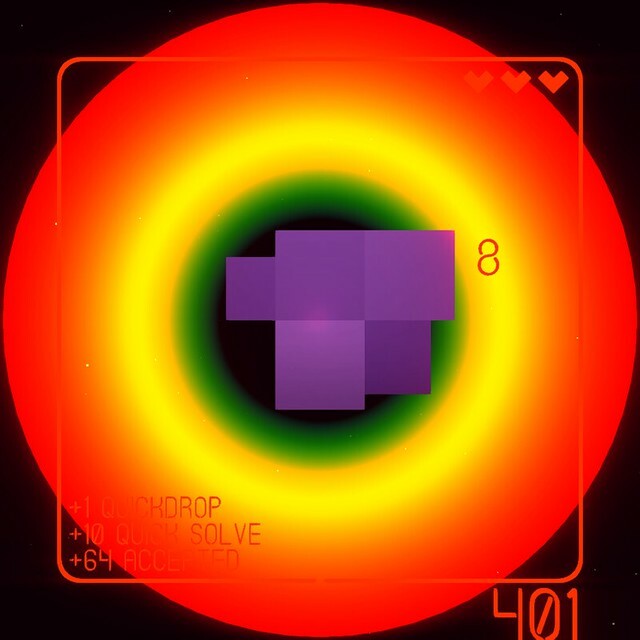 SUPERHYPERCUBE has been in development in one form or another since 2008. It was originally created for gamma3D, an event we organized to encourage game makers from around the world to create games in which stereoscopic (3D) vision truly impacted gameplay. All the gamma3D games relied on a display technology called anaglyphic stereoscopy – think of those cool 50s style red/blue 3D movie glasses. Our “in-house” game, SUPERHYPERCUBE, went one step further, introducing headtracking using custom glasses based on the work of Johnny Chung Lee, so that players not only saw depth within the game world, they could physically move their bodies and look around the cubes and clusters to get a better sense of their size and shape. 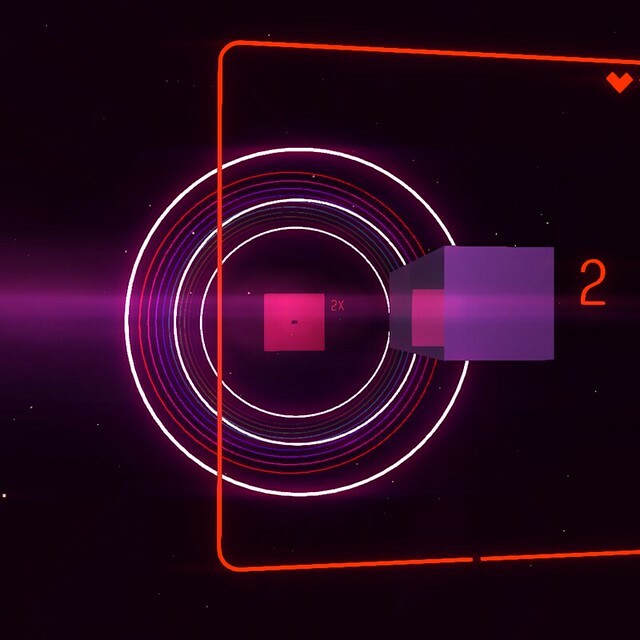 When motion cameras were eventually introduced, we re-visited the way headtracking worked within the game (earning an Indiecade finalist nod in the process), but were still dependent on red/cyan 3D glasses to create a powerful visual depth effect. In many ways, we’ve been watching technology develop over the last seven years to support our original gameplay vision—a truly physical puzzle game that is both fully enveloping and plays with your perception. And so, when VR came along (again), we knew the game had found its true home. Since looking at the game through red and blue lenses altered the perception of other colors in the game, the first iteration of SUPERHYPERCUBE looked best and had the cleanest 3D effect when it was rendered entirely in greyscale. One of the exciting possibilities opened up for us by Morpheus is that for the first time, we can finally go far beyond the chromatic limitations of that technology and really explore color. 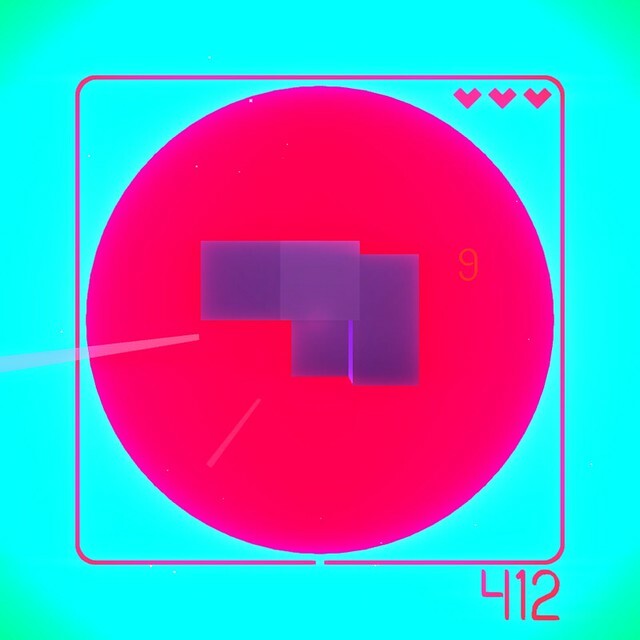 Aesthetically, this VR version of SUPERHYPERCUBE is influenced by our love for all things glowing, epitomized by neon light, 80s motion graphics, early computer art and the minimalist art movement known as “light and space”. Artists grouped in this genre worked with surfaces of different materials, and using neon, LEDs, and sunlight, to create abstract work and spaces which might change over time or when viewed from different angles. We want to give players an experience something like flying or floating through one of these works. In the early visual development for the game, we collected a reference file folder full of photos, illustrations, and film stills from the 60s, 70s, and 80s. We all love this aesthetic in general, but we each have our favorite references, especially from iconic films – everything from 2001: A Space Odyssey and Blade Runner to Xanadu — their analog special effects, retro-futuristic user interfaces and delicious lens flares. We created a series of concept illustrations that were inspired by light and space artist James Turrell, inhabited by our game’s own cubes and walls, and have been building upon this aesthetic ever since. We couldn’t be more excited to finally bring this concept to its logical, virtual conclusion. We hope you’re excited too! 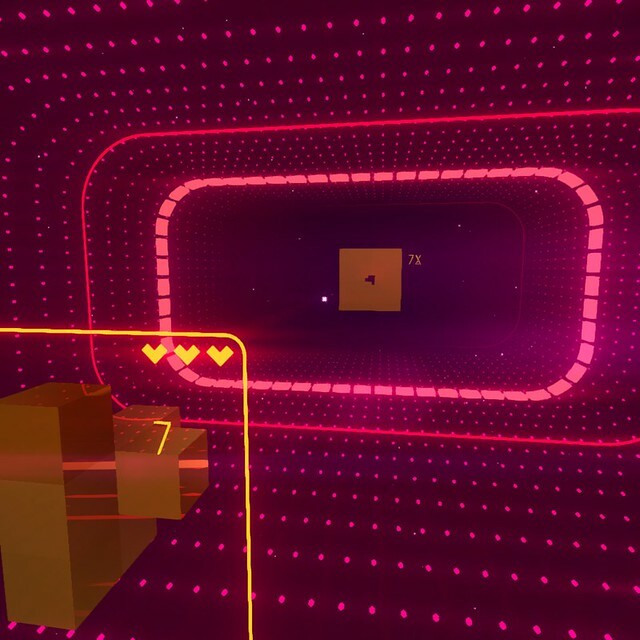 Please look for SUPERHYPERCUBE when it launches with Project Morpheus next year. This is going to blow gamer’s mind’s. Look forward to experiencing this. Looks and SOUNDS wonderful! I am really glad to see a wide variety of games coming to Morpheus. I’m equally glad to see so much support for the new device. 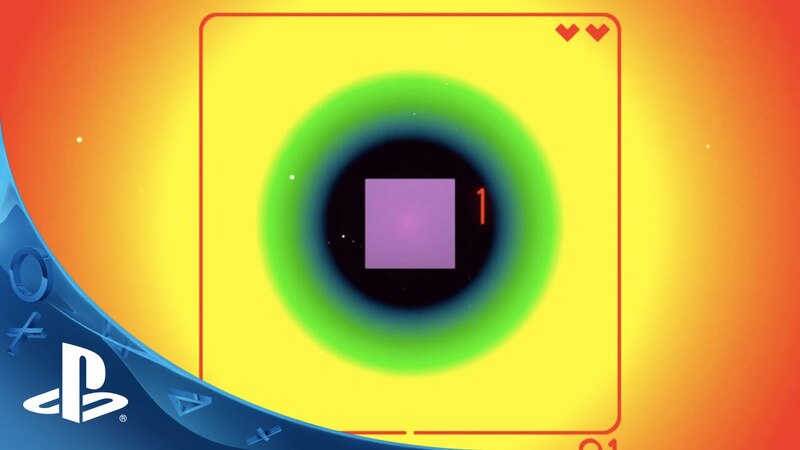 I’m glad to see that SUPERHYPERCUBE has found a home in the Playstation 4. Welcome to Playstation Nation! I just came on to give you a fifth comment. I really don’t care about the game or Sony’s VR, but good luck. It’d be easier to get excited about games like this once we find out how much Morpheus will be and when it comes out. I’m really excited for this, although I really have no idea what this game is or how it plays, and it’s obviously impossible to imagine, having never experienced VR. So, I have to credit you with a great write-up and teaser trailer. I hope you will provide a demo sometime down the road. With so few VR games, I’m sure sales won’t be an issue, but it’s really good for both sides when demos are available. I look forward to hearing and seeing more of this game, and finally experiencing it for myself in 2016. Congratulations on being fortunate enough to have technology evolve exactly the way you needed it to. Will it also be available on PS4 using stereo 3DTV support? the stereo 3D in 1080p @ 60fps on PS4 is a revelation over the PS3. As much as I loved Child of Eden, Puppeteer, Datura, and other games that used stereo 3D (some with Move) on PS3, I’d love to see more PS4 (non-Morpheus) titles use stereo 3D. Stop spamming and get off the blog.